As the sun started to rise, the eastern sky began to glow intensely. 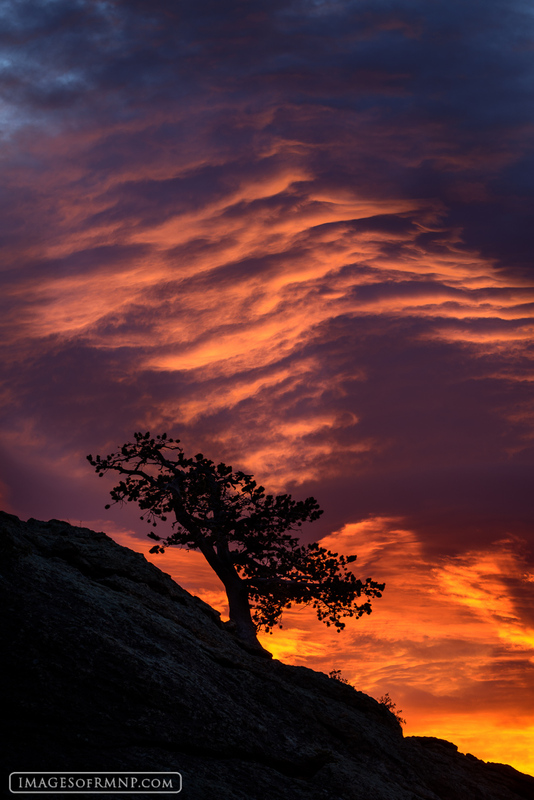 I had been waiting for conditions like this for months so I could capture this special tree with a dramatic backdrop. In the end it turned out to be more beautiful than I had envisioned. Photo © copyright by Erik Stensland.